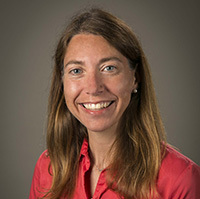 Lydia Olander, director of the Ecosystem Services Program at Duke University's Nicholas Institute for Environmental Policy Solutions, will speak during the session "Getting to Why Ecosystem Services Matter before your Audience gets to ZZZZ" on Wednesday, December 5, at the 2018 A Community on Ecosystem Services Conference (ACES). As a session panelist, Olander will discuss recent efforts to improve communication about ecosystem services, including the incorporation of ecosystem services into curriculum, policy, and practice. Panelists will share their experiences and highlight some lessons learned. Wednesday, December 5, 2018 - 3:45 p.m. to 5:30 p.m.